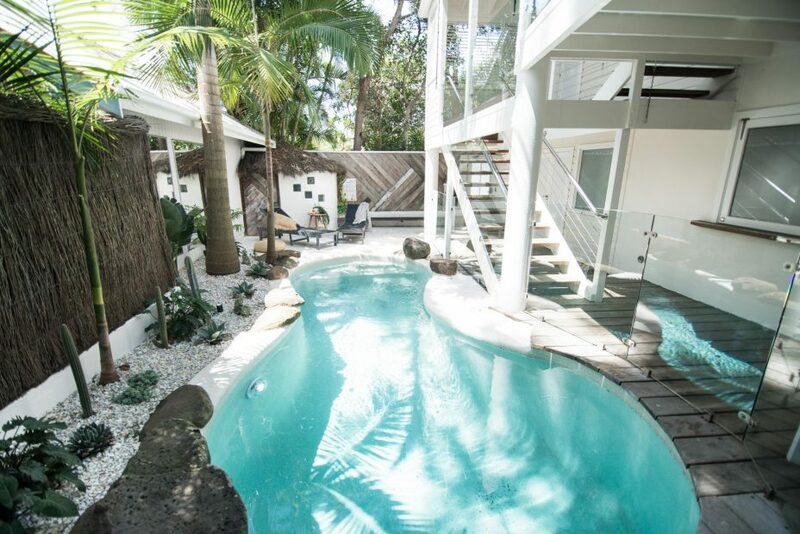 Welcome to Cactus Rose Villa – a recently renovated, uniquely styled and thoughtfully finished 1 bedroom, 1 bathroom holiday villa. 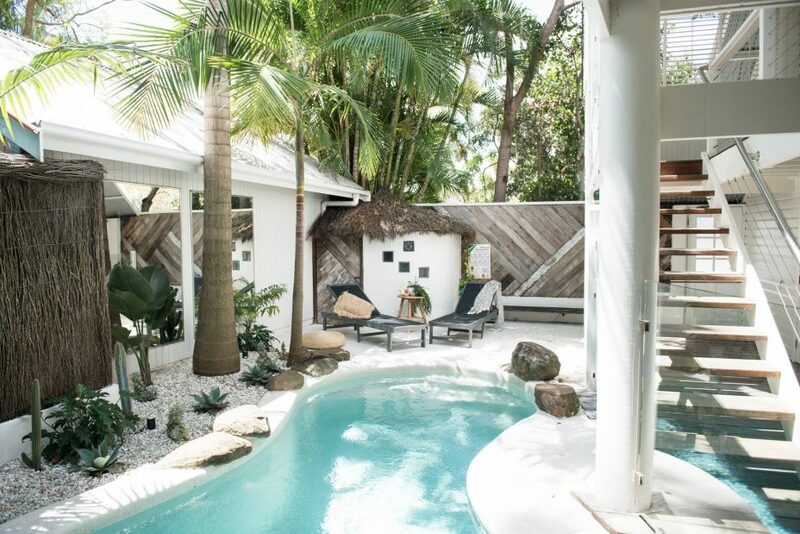 With in-ground, private pool located in the heart of Byron Bay. 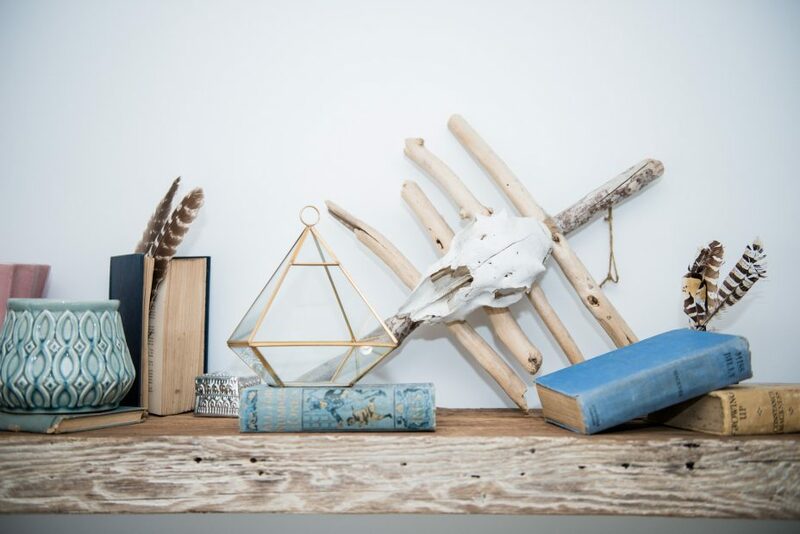 This stunning villa sits atop iconic designer store – Spell and the Gypsy Collective. 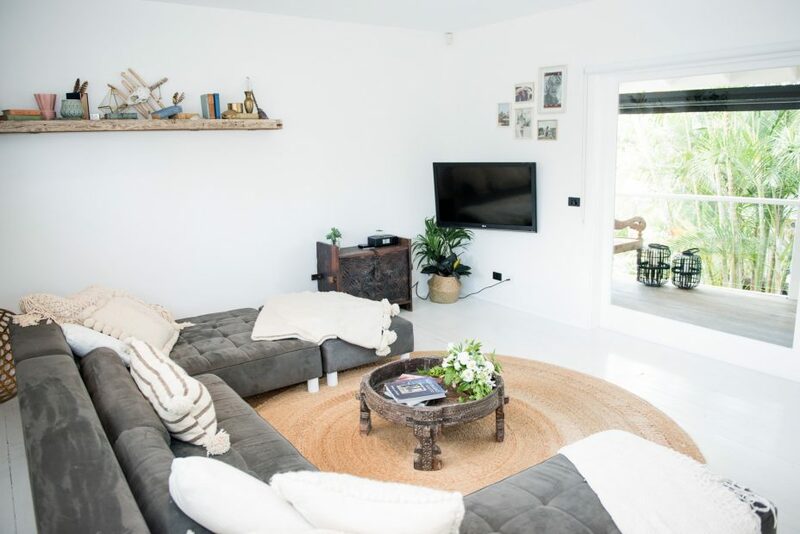 Exuding unique style, warmth and charm, this holiday home is spacious and open and boasts sloping ceilings, ample natural light and a stunning interior mix of white with rustic timber and natural fibres. 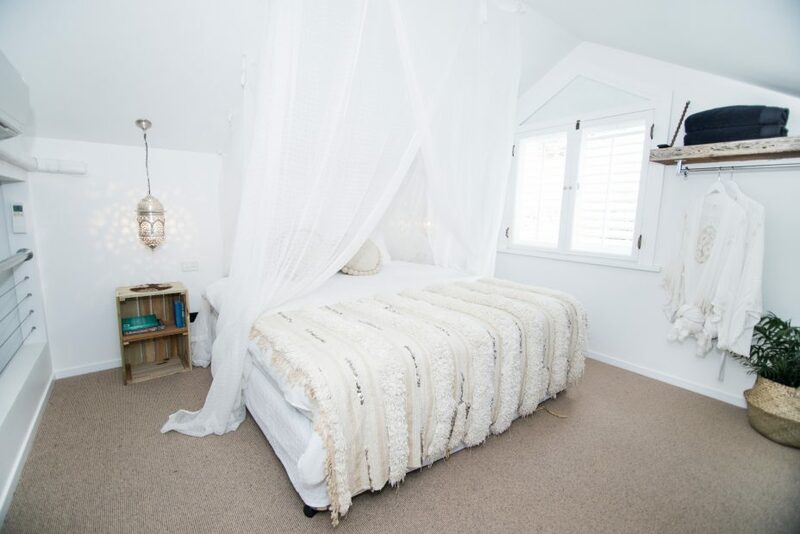 Sleep in a dreamy attic-style bedroom, soak in the built-in bath and unwind in the luxurious covered, all-weather outdoor space, complete with dining setting and daybed. 2 yoga mats are also provided for those wanting to truly unwind and relax. Cactus Rose Villa also features a generous, private in-ground pool with sun loungers, gardens and stunning hot/cold water outdoor shower. 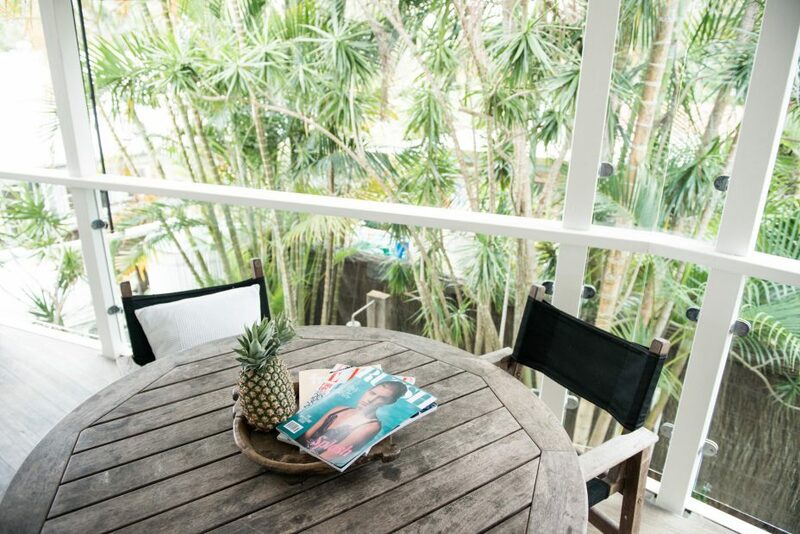 Ideally located in the centre of Byron Bay, guests can walk to town and swim at Main Beach in just 10 minutes. 2 vintage inspired bikes are also supplied for guest convenience to get around in true Byron style. Large covered outdoor space with dining setting and daybed. 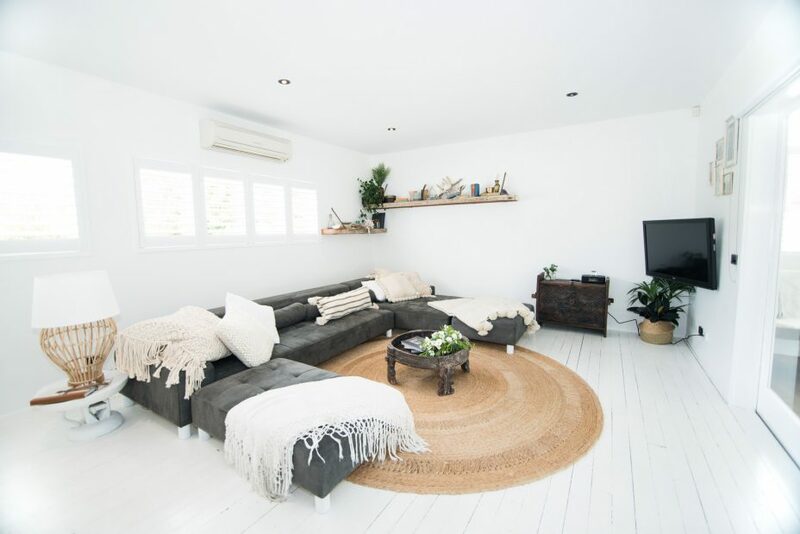 The open and light-filled living space of Cactus Rose features recycled white hardwood timber floors, a plush and inviting U-shaped couch draped in natural fabrics, rustic timber shelving and tables, all atop a natural fibre rug. 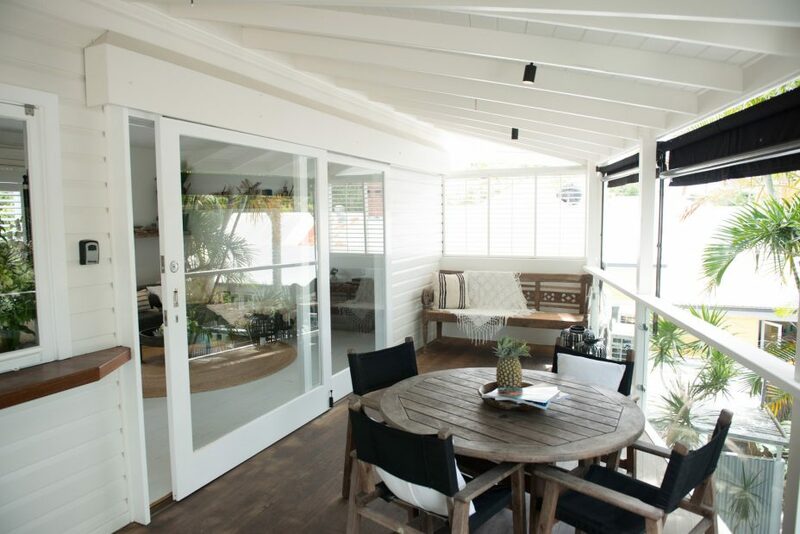 Unwind while watching Netflix on the flat screen wall mounted Apple TV and step outside to the covered outdoor entertaining area through huge wall to wall timber framed glass sliding doors. Dine in sun-soaked luxury in the long galley style kitchen with natural polished timber table tops, bench style seating for four, and wall to wall horizontal lift up windows with views of the covered outdoor space and gardens. 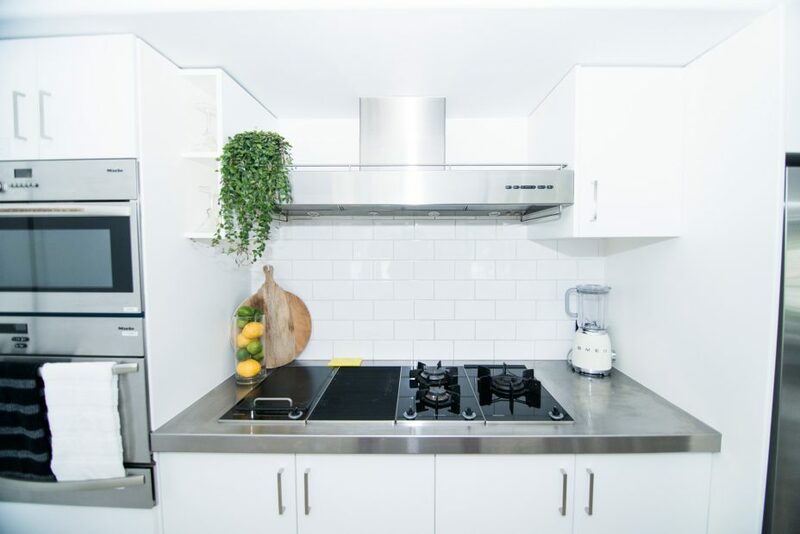 Cook under sloping ceilings, with high-end stainless steel appliances including gas cooktop, large double door fridge and double oven. The dreamy bedroom at Cactus Rose is veiled in a cloud like bed canopy, fitted with the softest of cotton, linen and bamboo fabrics. Surrounded by sloping ceilings, attic style windows and decorative pendant lighting, the perfect place to unwind. Reverse cycle AC for temperature control and room to store your holiday essentials, the perfect escape. 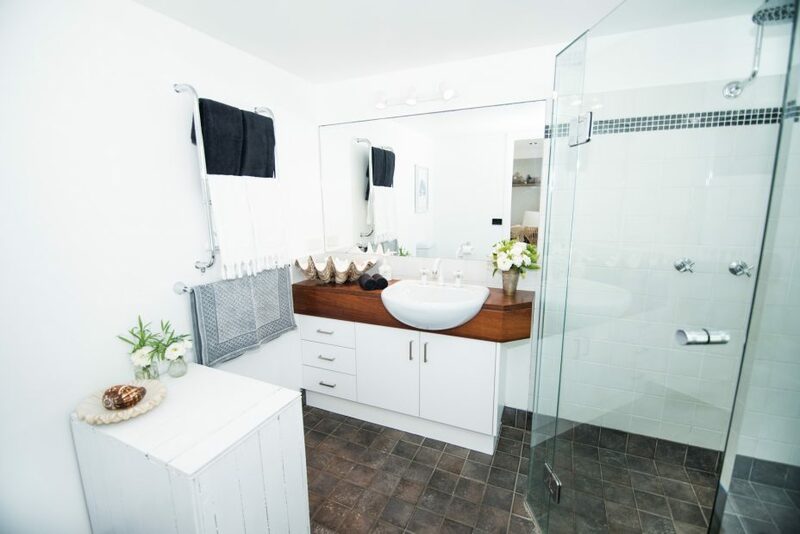 The bathroom features gorgeous white timber shutters and timber bench tops, as well as a large shower encased in frameless glass and a built in bath. Spoil your skin with plush Sheridan bathroom linens as well as nourish with aromatherapy products all soured locally. 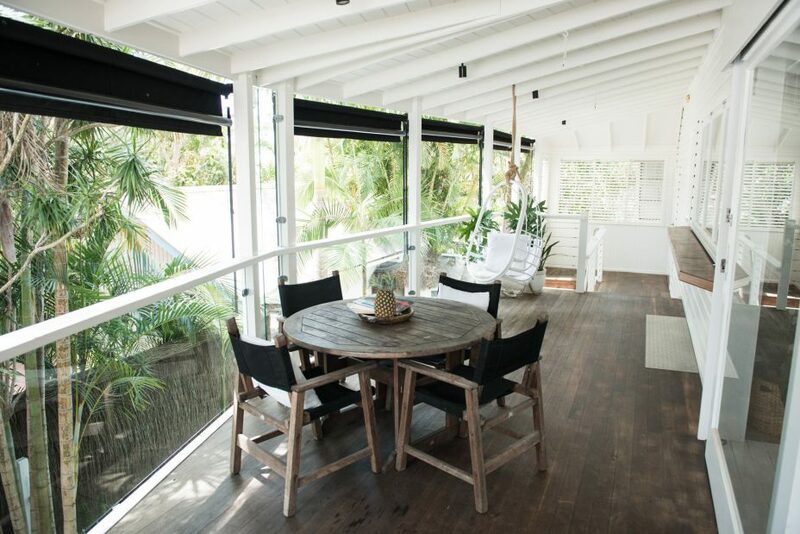 A large covered, all-weather outdoor space boasts exterior weatherboards with natural timber decking, exposed beams and outdoor roller blinds for added privacy and weather protection. 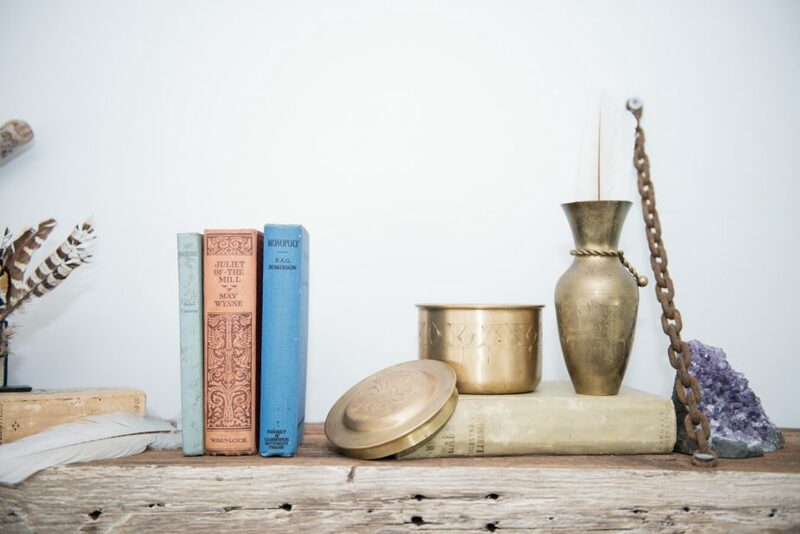 Relax with a book on the daybed or enjoy balmy outdoor dining at the timber dining suite for four. 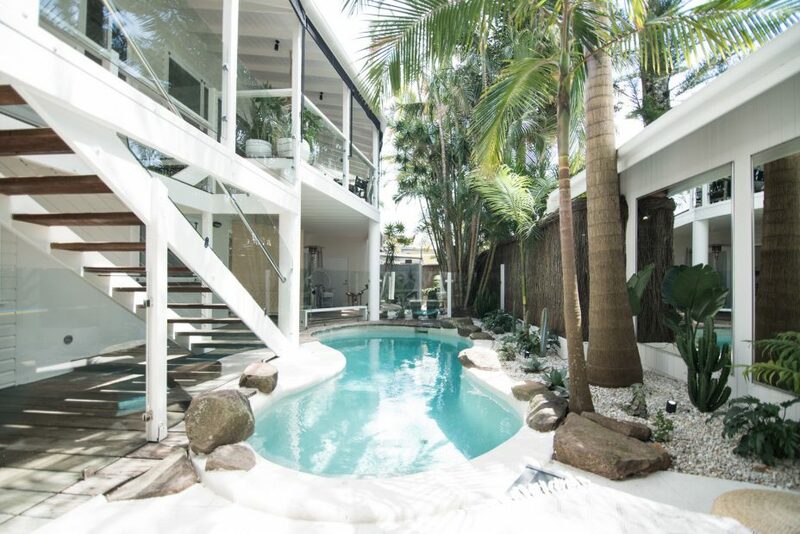 Enjoy the gorgeous Byron Bay sunshine swimming in the sparkling, in-ground pool, encased in rock gardens and tropical palm trees, with bamboo privacy screening. There are two sun loungers within the pool space, as well as a stunning outdoor shower nested in the privacy of the gardens. 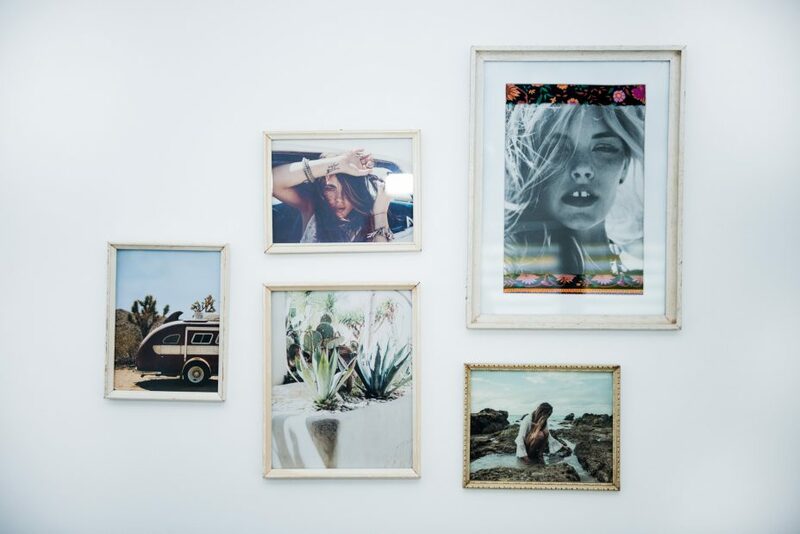 Cactus Rose Villa offers complimentary WiFi for all guests, as well as reverse cycle air conditioning. 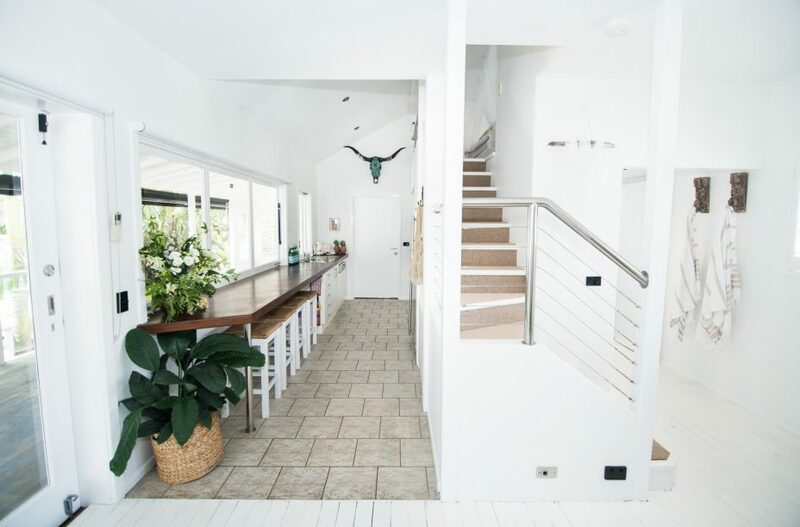 Explore Byron Bay in iconic Byron style riding the two complimentary vintage inspired bicycles and channel your inner Byron Bay zen, practicing yoga on the deck using the mats provided. 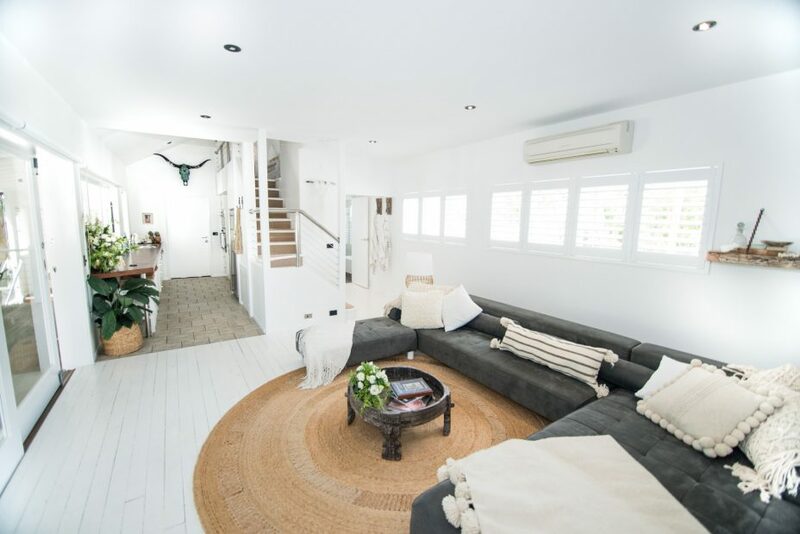 This stunning villa is ideally located, only moments away from the center of Byron Bay. 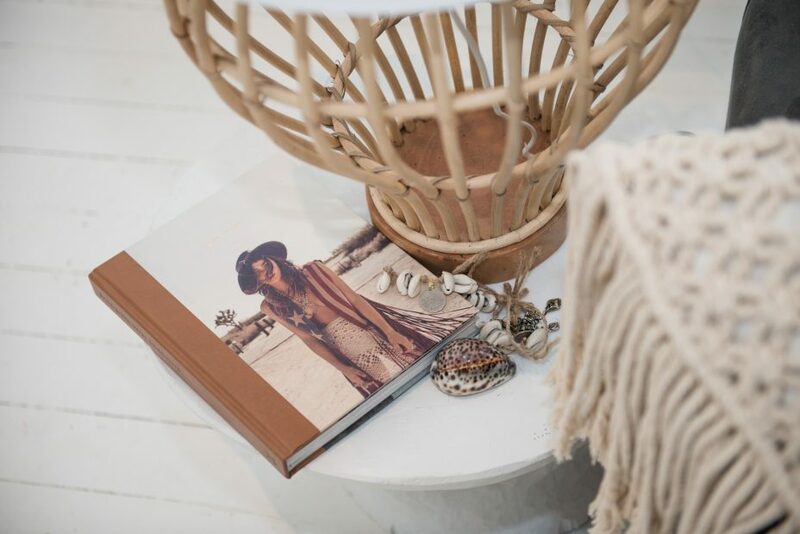 Wander down from this private oasis to the amazing Spell & the Gypsy Collective boutique store, where you can browse the designer wares and chat to friendly staff for their local secrets and recommendations. Despite, the shared address, Cactus Rose Villa enjoys a private position at the back of the Spell premises. 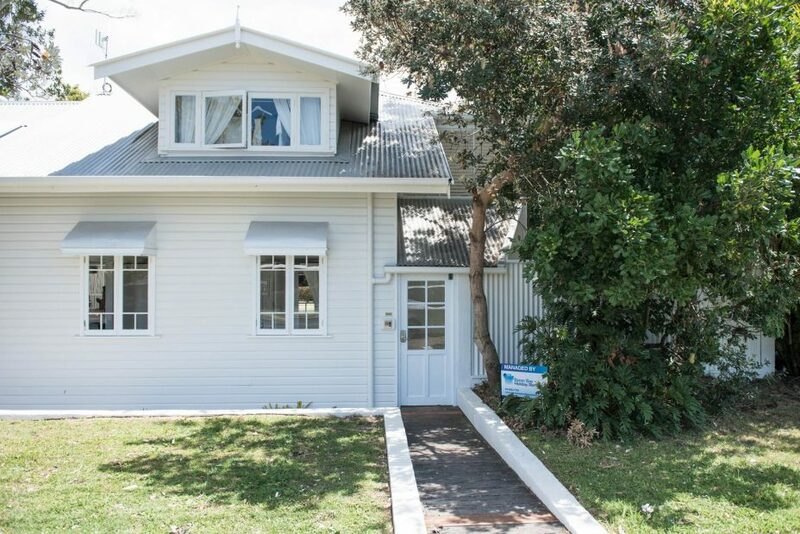 Just outside the door of the villa, guests can find coffee and foodie treats at the Green Garage Cafe and a short 10-minute walk will find you on the shores of stunning Main and Clarkes Beaches. 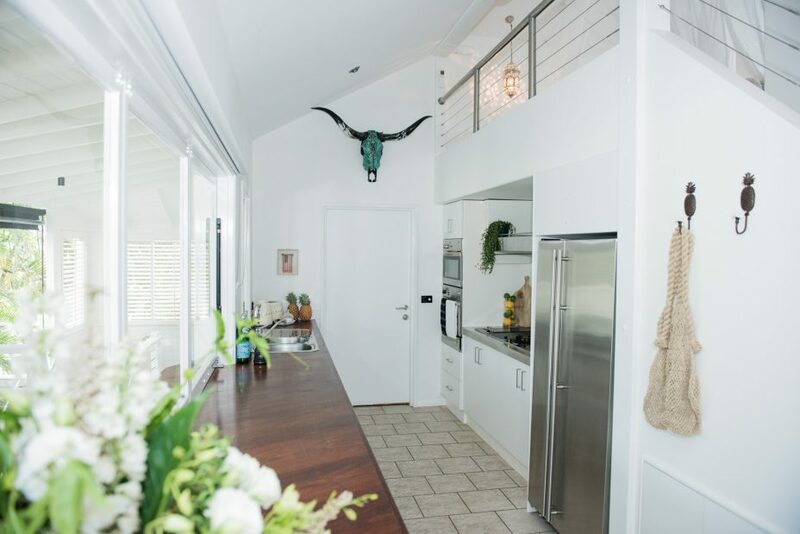 Cactus Rose Villa offers just the perfect luxury for an indulgent couples getaway or honeymoon, or with the option to convert the lounge to a queen bed, couples can bring along their child for a small family break, in the most excellent location. 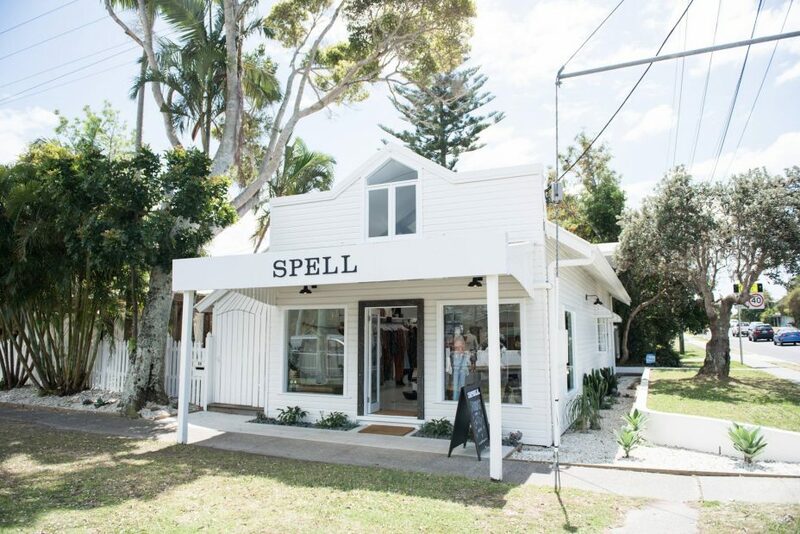 It also makes a fantastic retreat for a Byron Bay girls shopping weekend. Group restrictions – maximum of 2 adults at the property. 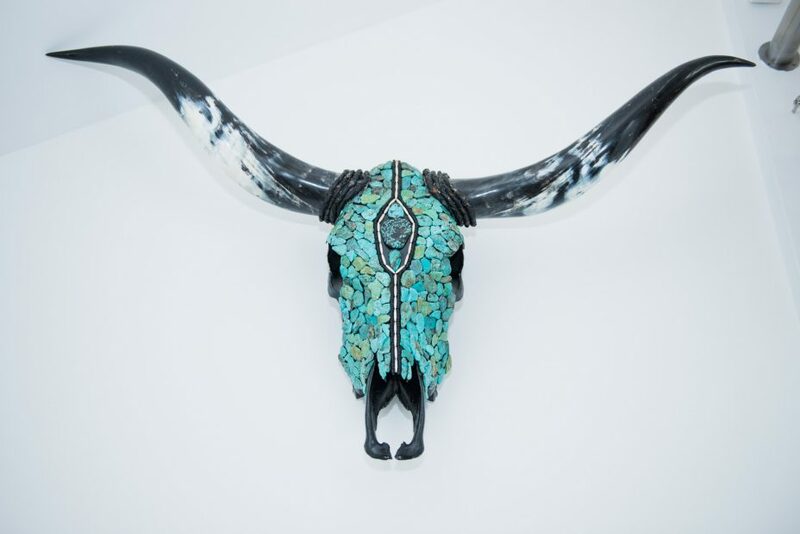 Strict noise policy and no parties permitted – fees and eviction can apply for security call-outs. If dates include both Christmas Day and New Year’s Eve a 12-night min stay applies.